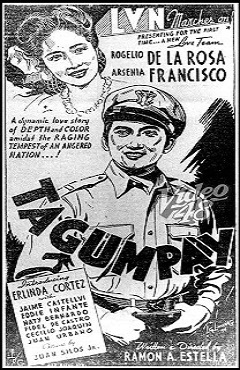 Tagumpay is a 1946 Filipino Drama film under LVN Pictures. 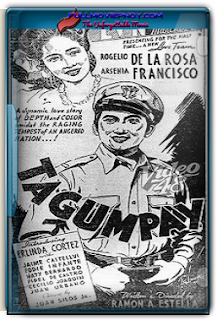 It stars Rogelio dela Rosa and Arsenia Francisco/ Introducing Erlinda Cortez/ with Jaime Castellvi, and it is directed by Ramon Estella. A dynamic love story of DEPTH and COLOR amidst the RAGING TEMPEST of AN ANGRED NATION.